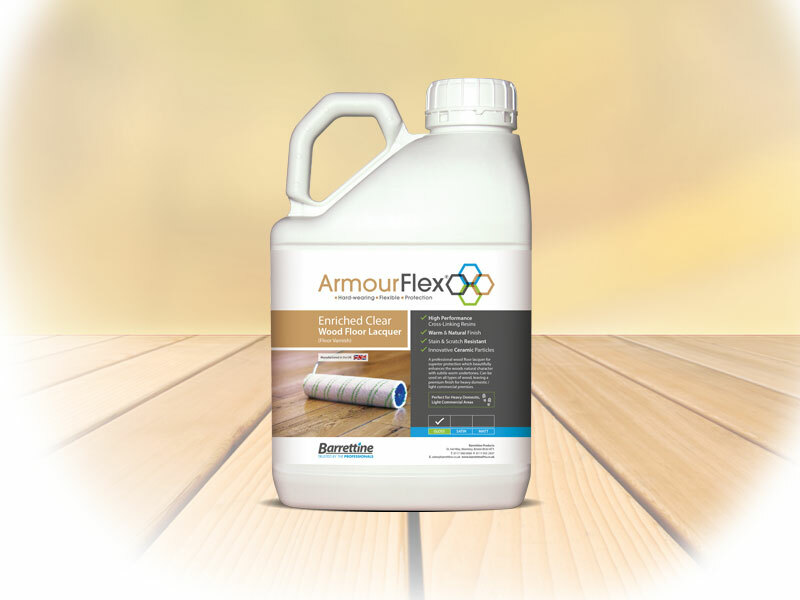 Armourflex® Wood Floor Lacquer is a professional high performance coating utilising the latest technology. Armourflex® reacts with oxygen to create internal cross-links for a strong coating without the need for mixing two pack systems. To further boost the technology ceramic particles have been added to it’s formula providing greater strength & protection. Available in a natural tone with minimal wood colour change or an enriched tone which emphasises the grain of the wood. The latest technology in self cross linking resins coupled with ceramic particles (shown in gold) provide additional strength and protection. 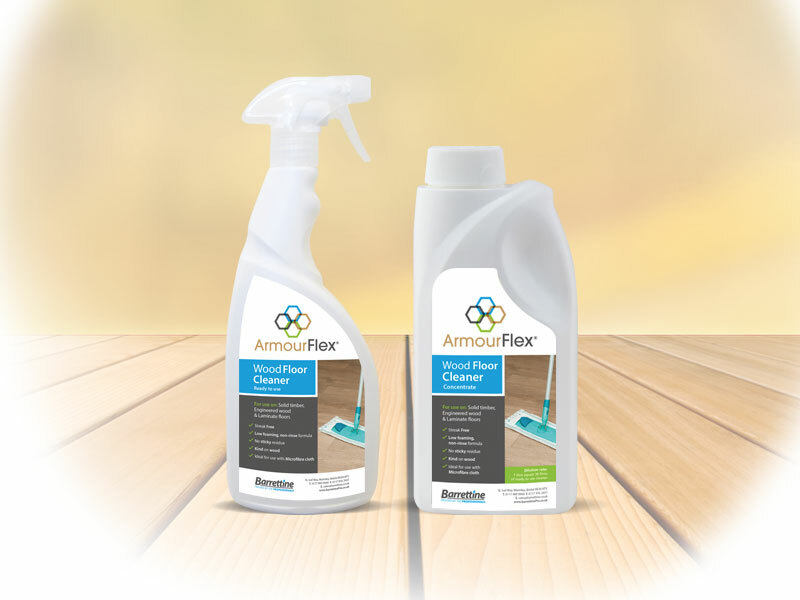 Also launching within the Armourflex® range we offer an effective yet gentle hard surface cleaner. Ideal for wooden floors but equally effective on tiles & non porous stone. Supplied in either concentrate (1L) or ready to use trigger spray (750ml).